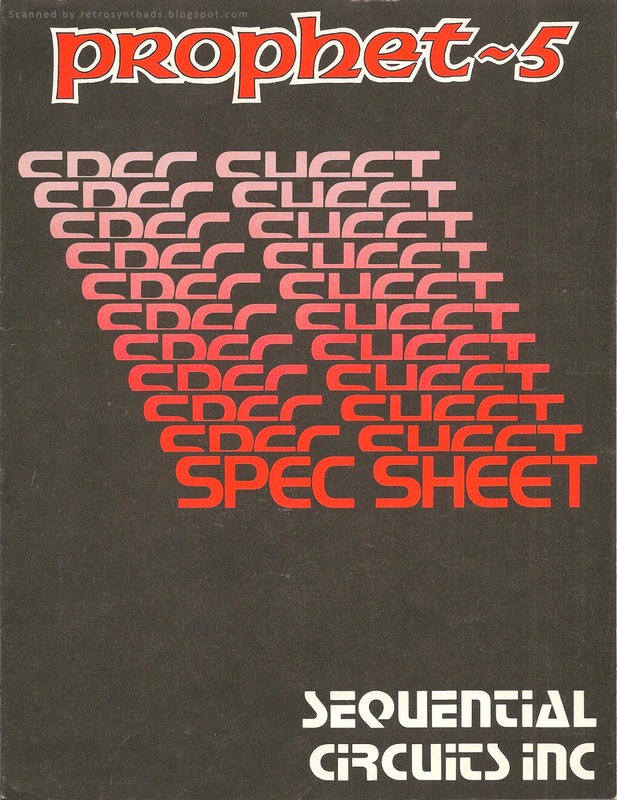 Sequential Circuits Inc. Prophet-15 spec sheet from 1980. Dang! 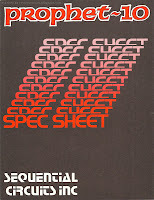 There are few things I like more than a good ol' fashion spec sheet. 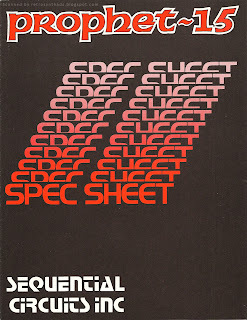 And this one takes its rightful place as leader of the Prophets - specifically the Prophet-5 and Prophet-10. 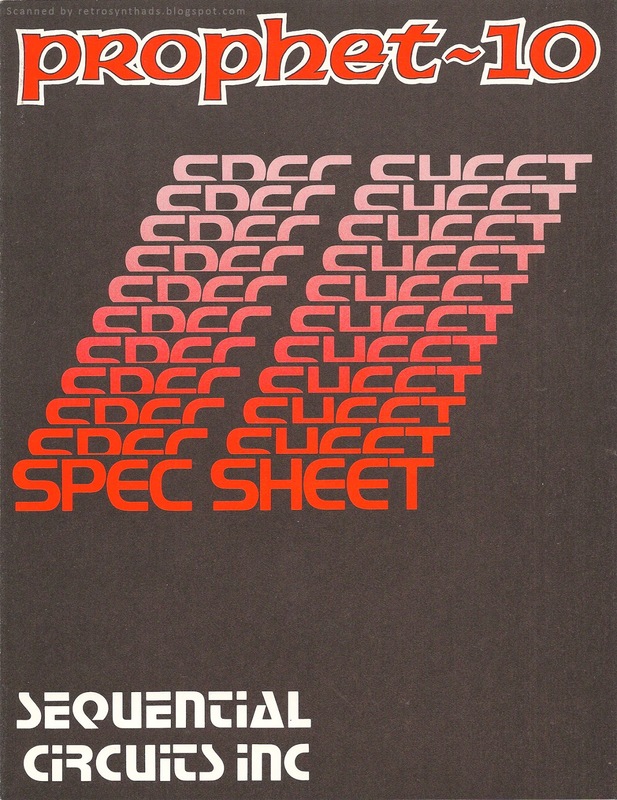 I posted those spec sheets just a little while back. There's no date on the actual spec sheet, but I'm guessing its from around 1980 since a Prophet-15 "Three Prophets are better than one!" 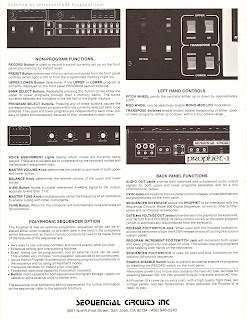 advertisement appeared in the April 1980 issue of Keyboard Magazine (right). 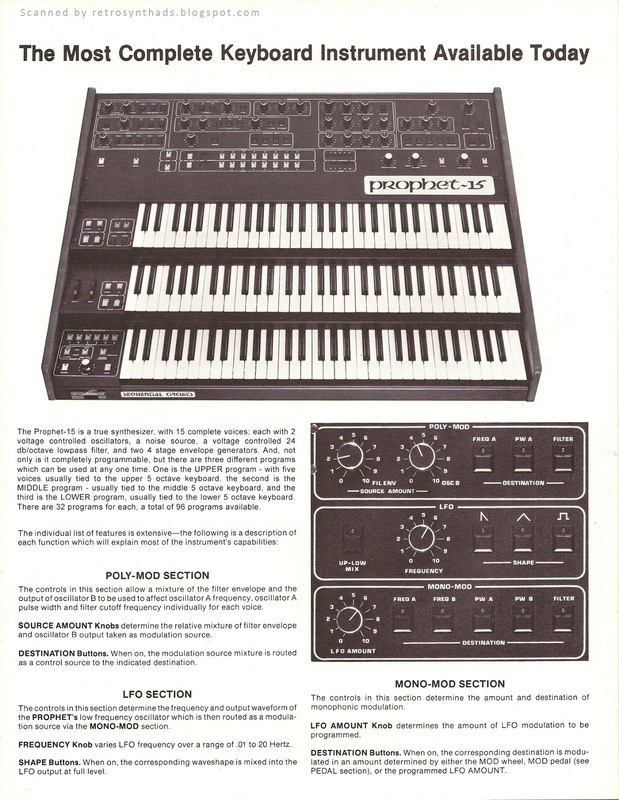 It caused quite a stir in the letter section of the May and June issues as musician unions were worried that each Prophet-15 would replace three musicians in studios and at live events. That worry was soon put to bed as few non-unionized musicians arms were long enough to reach the top controls on the front panel of the Prophet-15. 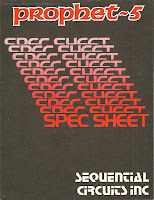 The SCI Prophet-15 is the type of mythical beast that no one has ever played on, but everyone talks about how they *know a guy who knows a guy* that's played on one. Heck, there are at least three people on GearSlutz that have said they've seen one gathering dust in the back of the rental department at the Long and McQuade music store in Regina, Saskatchewan. But apparently the rental/tech guy won't let anyone touch it until Dave Smith's personal tech has tuned it up so he can put it back into rental circulation. 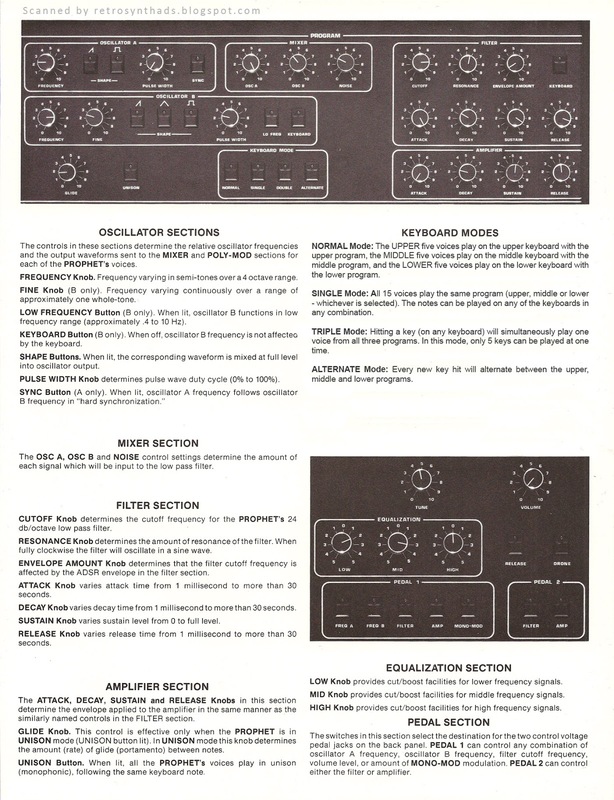 And the hype around the Prophet-15 on GearSluts recently became so intense that Uli Behringer had to put out an official announcement that he wouldn't be cloning this particular piece, leading to multiple synth memes to appear on Facebook both defending and attacking the decision. 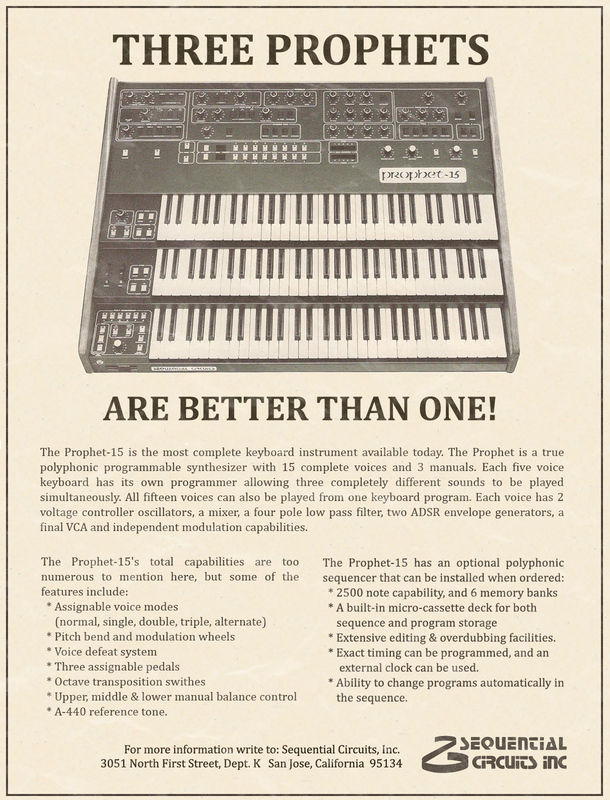 The SCI Prophet-15 is built on the same tech as its younger sibling - the dual keyboard Prophet-10 - adding a third keyboard as well as an additional five sweet sweet voices. And it was those extra voices that Jimmy "Triple Ace" Douglas was looking for when he produced Star Cruiser's third album "Super Prism". 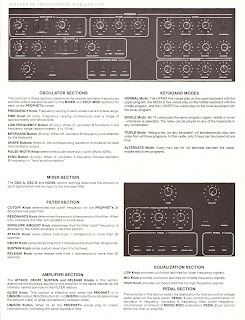 He brings up the Prophet-15 in particular during an interview that appeared in the April 1980 issue of Synthesizers For Fun and Profit magazine. 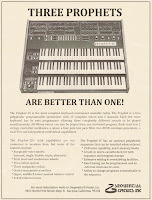 "I had the Prophet-15 shipped to the studio halfway through the production of the Star Cruiser album. It was at great expense - the thing weighs a ton. But we needed a particularly complicated twinkly sound behind the main rhythm of 'That's not a gun in my pocket', and I knew it would take three different parts from the Prophet to really bring that song together. Mission accomplished." 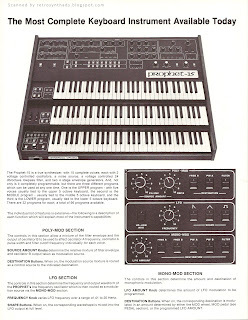 According to synth expert Marcus Vole's book My Favourite Vintage Synthesizers and How To Identify Them, the Prophet-15 kept pace with the Prophet-10's production figures with as many as 11 units being sold to larger studios in the US and Europe, as well as to one community college in northern Saskatchewan that filed for bankruptcy soon after due to the large debt incurred through its unauthorized purchase by a young Star Cruiser fan that worked in the purchasing department. I'm guessing that's how one of these rare beasts turned up at that Long and McQuade in Regina. The jump in synthesizer technology that came about with the Prophet-15 created a domino effect in the synthesizer manufacturing industry, as Roland soon after announced plans for their three-keyboard Jupiter 24, and Korg quickly debuted their Poly-18. To this day, scientists at Yamaha are still working on their fully analog three-mini-keyboard CS-03. Nicely done sir, made me pause for a while! Didn't Rick Wakeman have two of these rigged at a 45 degree angle opposite each other at arms length?